This was to be the last day of the walk. 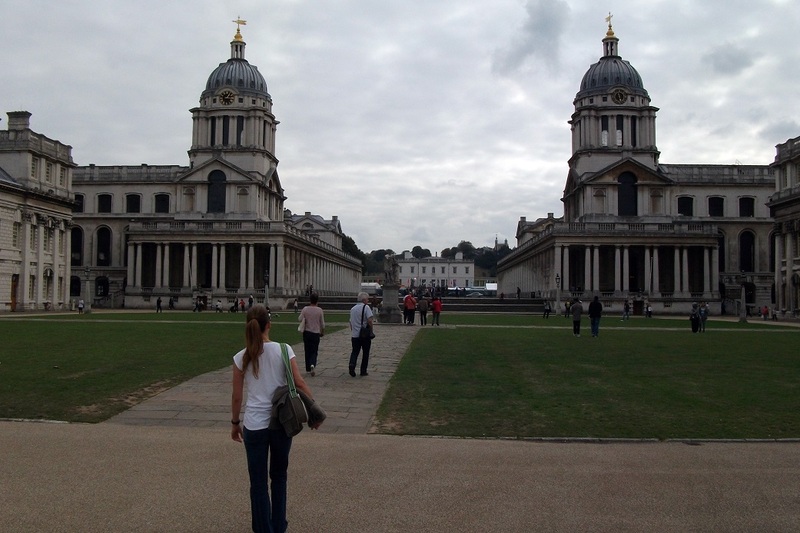 I used 2 buses to get from the hotel back to The Tower and there met Gareth, who was to walk with me to the Thames Barrier, the end of the walk. 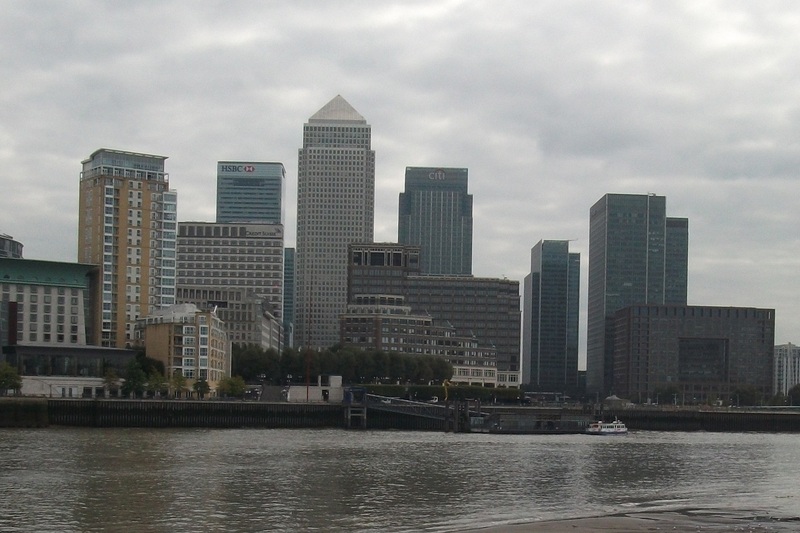 We crossed back over Tower Bridge and continued walking on the south bank, firstly on cobbled streets and then on Butlers Wharf. We passed the Design Museum and continued along the edge of the river with only occasional turns inland to accommodate creeks and blocks of flats with private frontages. Downings Roads houseboat moorings were covered in pots of plants but also high and dry as the tide was out. There were ocasional public gardens on the route but today was quite different to the rural feel that I had had before with lots of flats, houses and industry old and new. On the other side of the river was Wapping and also a river police station. In Rotherhithe we passed the church of St. Mary the Virgin with memorials to the Puritans who sailed from here in the Mayflower in 1620. 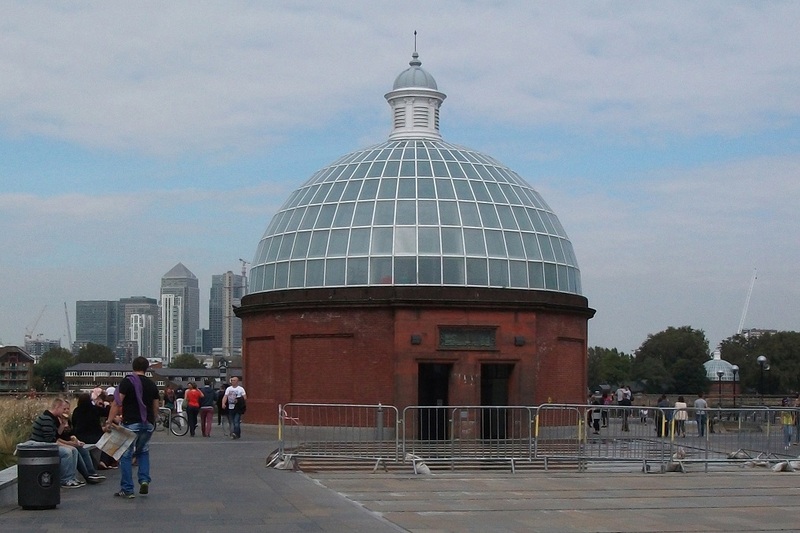 A round brick building is an access shaft for the Rotherhithe Tunnel and you can see its partner across the water. From here we did a lot of zig-zagging round docks and warehouse blocks including going through the Hilton Hotel car park and past its fitness and well-being complex. 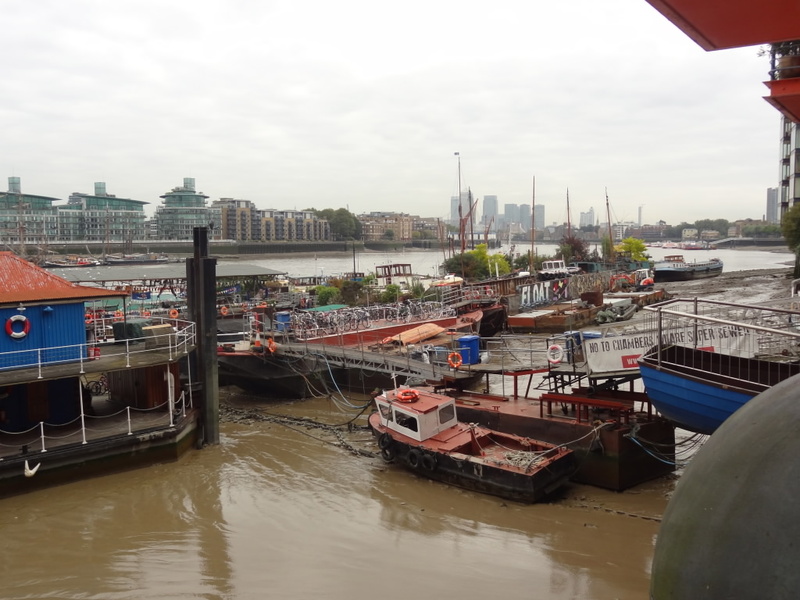 Shortly after, we came to Surrey Docks City Farm with its herb and vegetable gardens and collection of sheep, goats, hens and ducks. This was very busy with children petting the animals and a cafe with marvellous smelling bacon rolls. We turned inland again to pass Greenland lock which leads to a large marina. 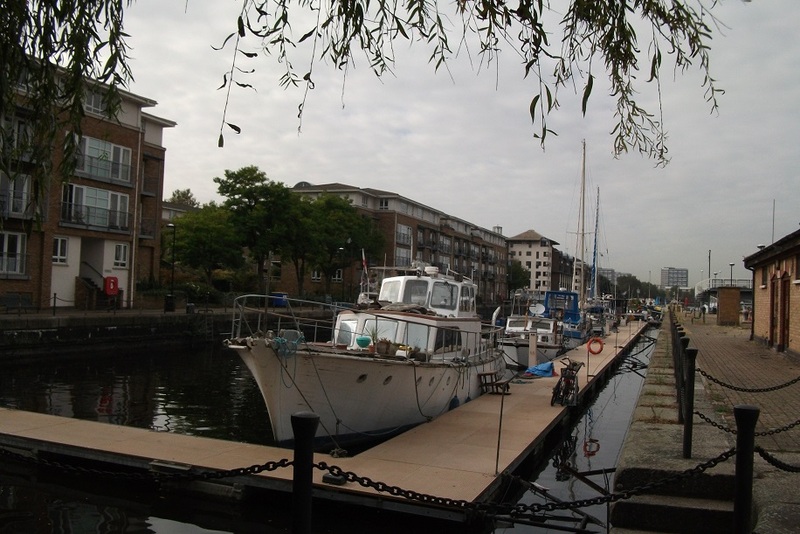 The docks here are now London's oldest wet docks as the others in the area have been filled in. 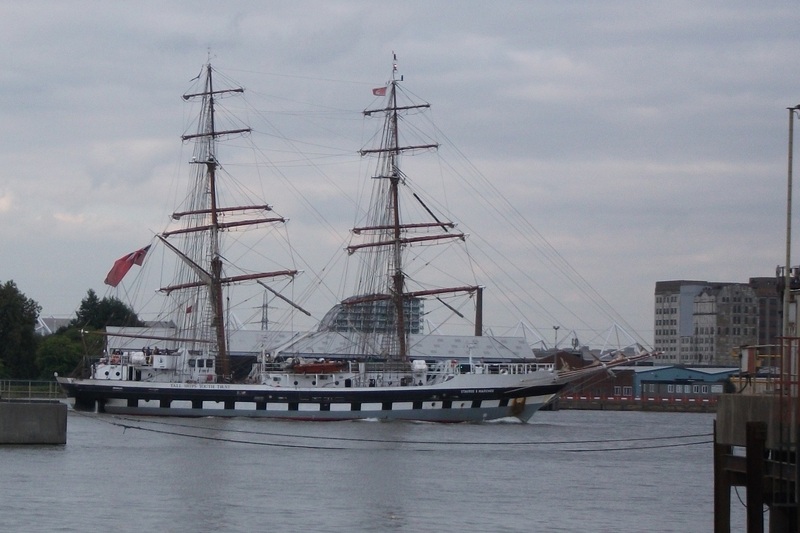 We were now in Deptford which was a vast royal dockyard although it closed in 1869 due to silting and the use of larger ships. 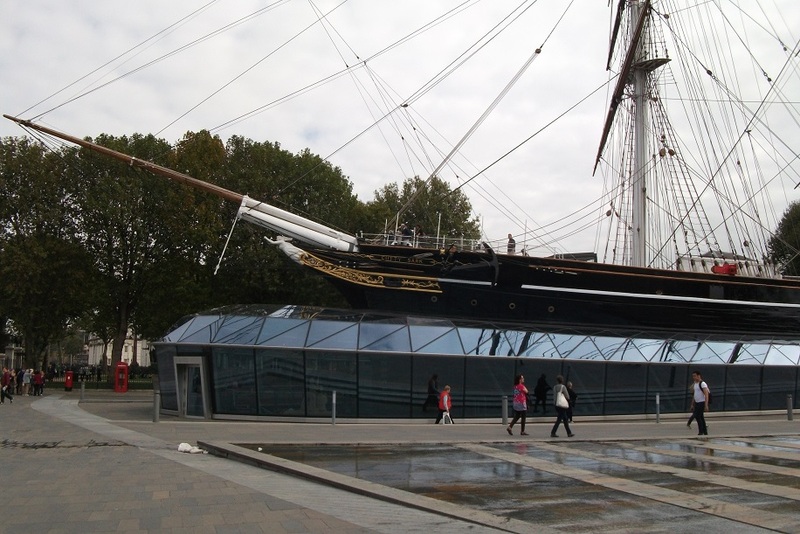 A few more twists and turns and suddenly we could see the masts of the Cutty Sark and the green dome of Greenwich Foot Tunnel. After eating lunch in the Royal Naval College Gardens, we continued past the Royal Naval College itself and then after a cobbled alley we passed the Trinity Hospital Almshouses, founded in 1616 and rebuilt with its crenellations in 1812.After this the path becomes industrial rather than scenic but interesting non the less. It keeps pretty close to the river as it is also the Jubilee Greenway with pedestrian and cycle paths. 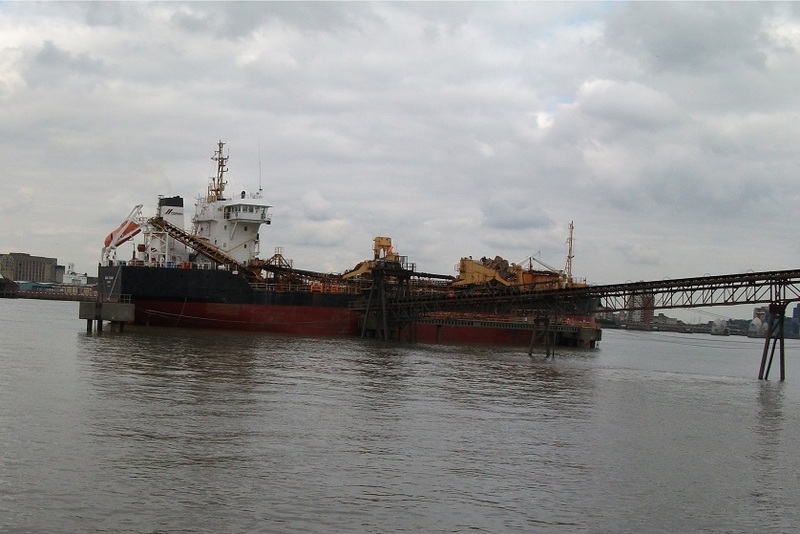 At the deep water terminal ships unload dredgings from the river and load sorted aggregate and the scenery is altogether more of a working area . 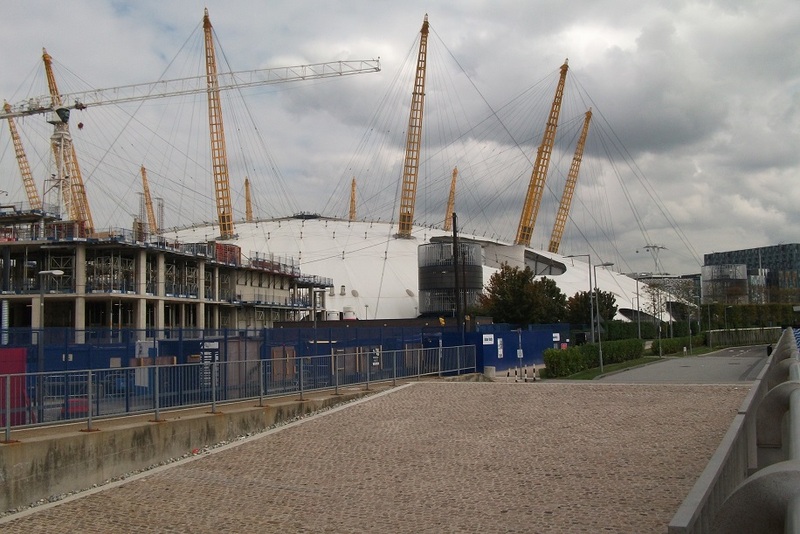 We continued walking round Blackwall Point with the O2 Arena on our right. As we rounded the point we could see the bridge of an old sand dredger which is now a wildlife habitat and called "Slice of Reality". 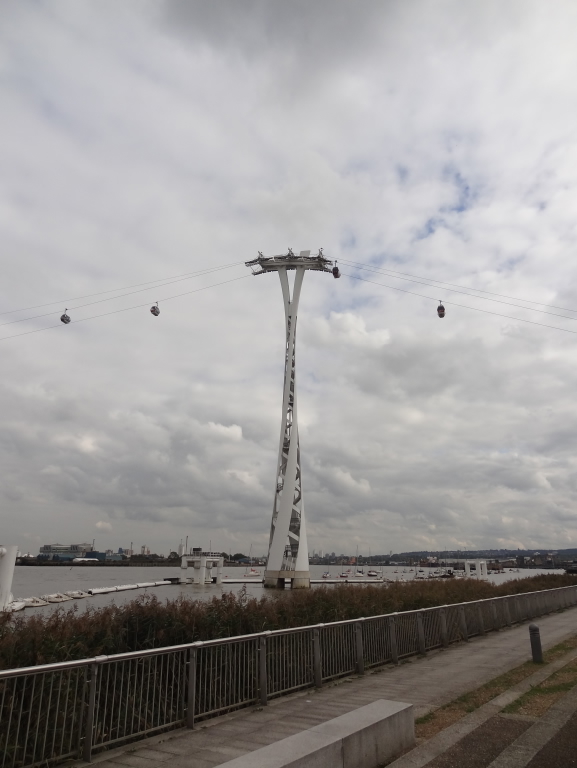 We could also see the cable car that goes across the river from near the North Greenwich Pier to the Olympic 2012 Site on the north bank. 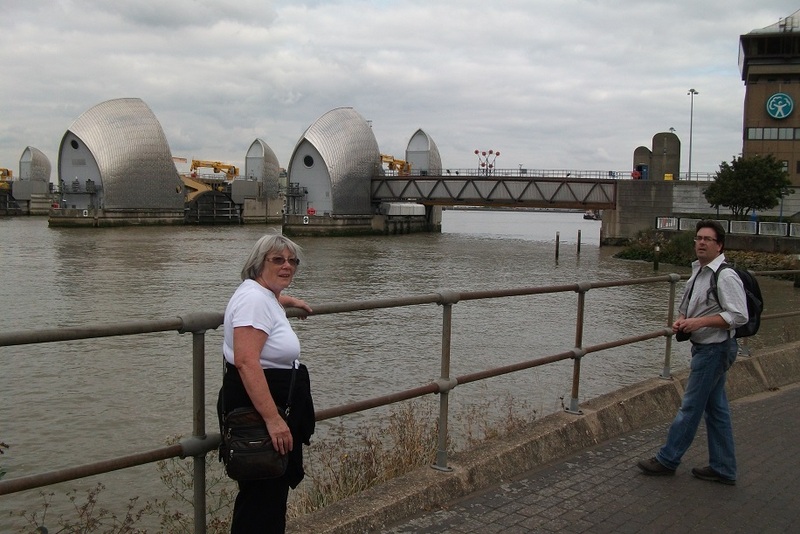 At the river bus site at North Greenwich Pier we met Edwin, who walked with us for the last 2.5 miles to the barrier. The broad cycle and footpath continued past hoardings with new developments behind them. 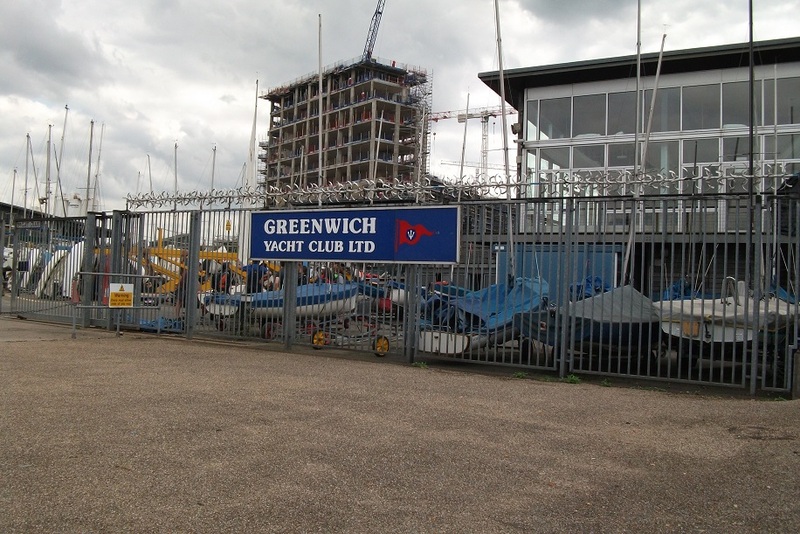 A short detour round Greenwich Yacht Club and back on the river side, we saw the barrier at last. 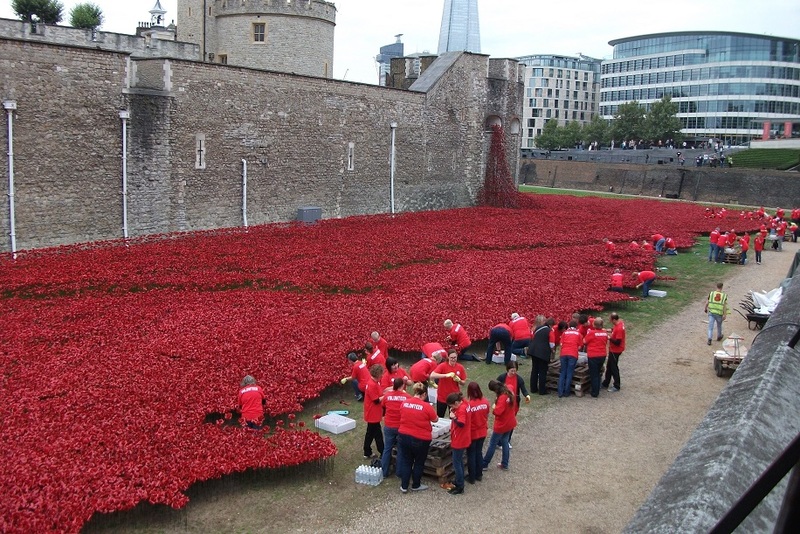 We walked up and past it and went to the cafe and information centre for a well-earned drink. 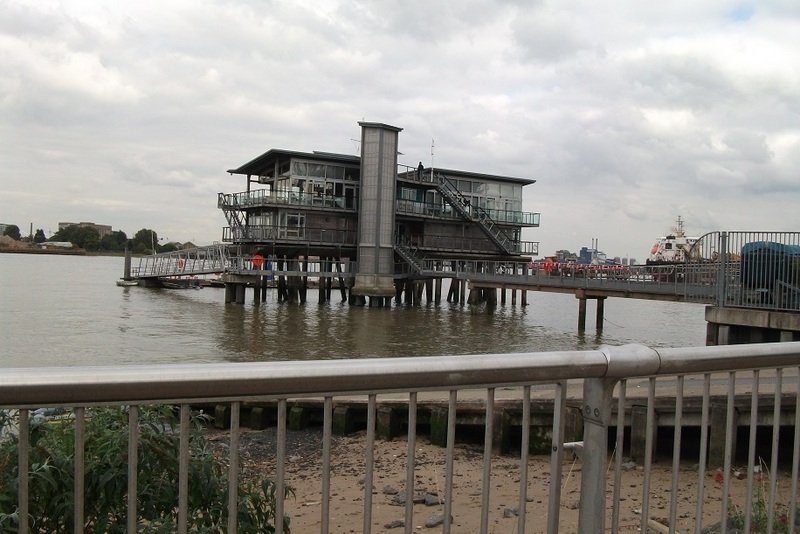 After this we returned to North Greenwich Pier where Edwin and I caught the river bus back to the Tower and Gareth went home by tube and train. 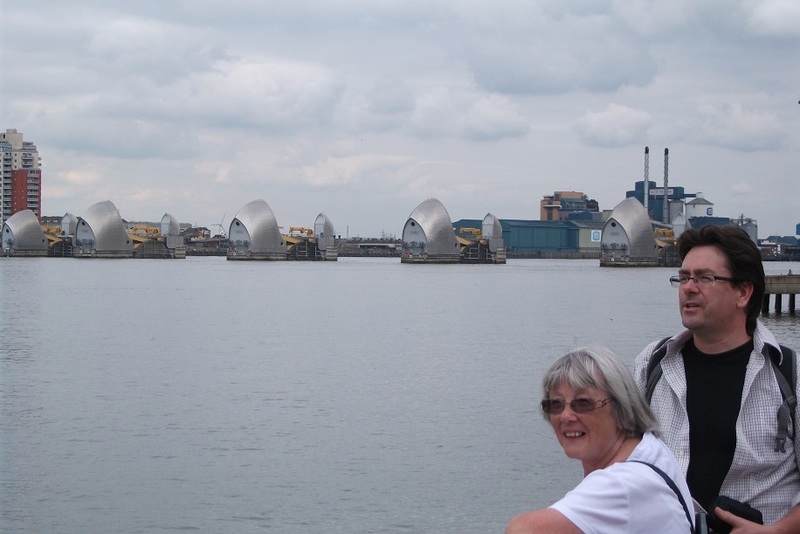 Elaine & Gareth with Thames Barrier behind; Tall Ship leaving London.